Plain white walls simply do not cut it any more in offices. When a client walks into your lobby they should experience your corporate brand before the receptionist says hello. The possibilities are endless – wall murals, acrylic dimensional letters, frosted glass, canvas prints and custom wallpaper to name a few of the options. We know it is important to make sure your office decor looks on brand from floor to ceiling. We can work with your architects and interior designers to expertly bring their visions to reality or our professional design staff can create a dynamic work space directly with you. We have worked with brands as large as the Fortune 100 and as small as the local mom and pop. We aren’t scared by how large your company may be nor will we treat you as an afterthought if you are smaller. We simply like working with people that are passionate about their brand. Some great examples of Corporate Branding. 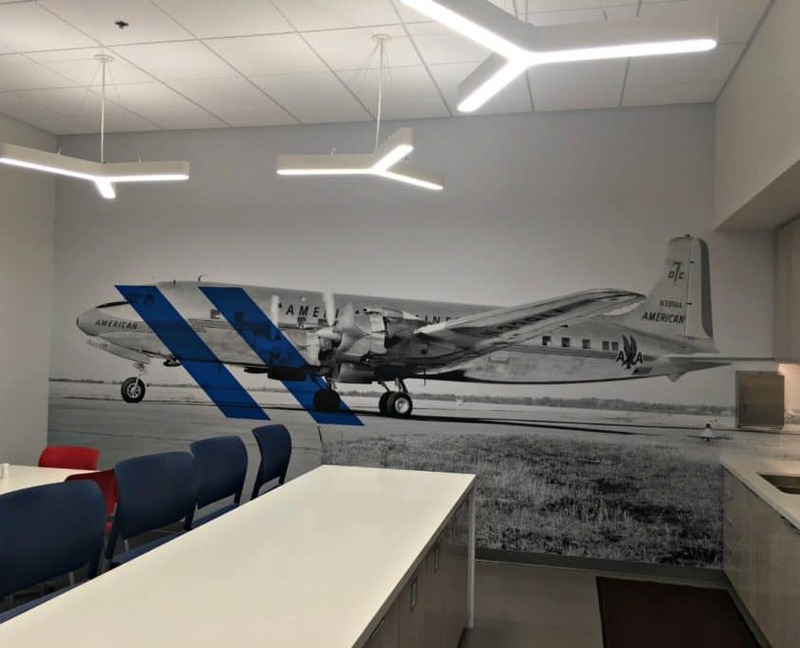 Linking corporate history throughout your office with exciting graphics. You only get one chance to make a first impression. Let Image Craft help make it a great one! We will make your lobby, conference rooms, hallways, offices and even bathrooms look amazing and on brand. Isagenix is a dynamic company and wanted a contemporary solution to display their global reach. Image craft came up with a combination of a wall mural with dimensional letters and cable system to display acrylic panels of various international markets where they maintain a presence. As Isagenix expands, they are easily able to add additional second surface acrylic panels to showcase new markets. 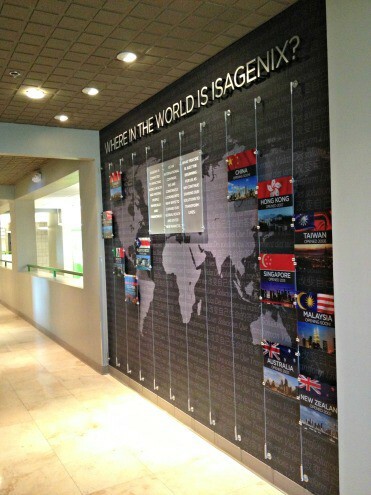 The wall impresses clients as they walk through the office and boosts pride in the Isagenix team.